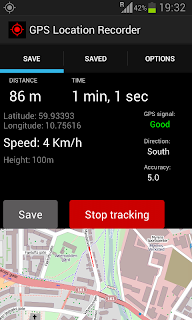 GPS Location Recorder is using the GPS module in the the phone to receive GPS signals. 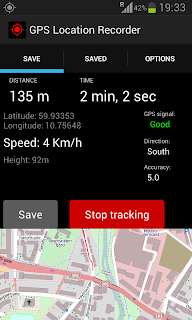 In general more expensive phones or newer phones has better and more accurate GPS modules then cheaper or older phones. 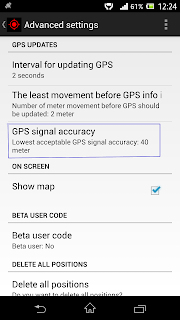 That means that if you have a new phone then you may get more accurate data when recording a location or a route compared to if you have an old phone. 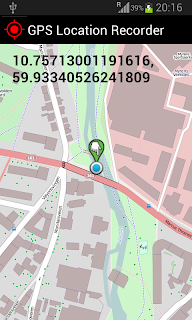 In this example the accuracy is 5, that is 5 meters. A low value for accuracy is typical for more expensive phones. 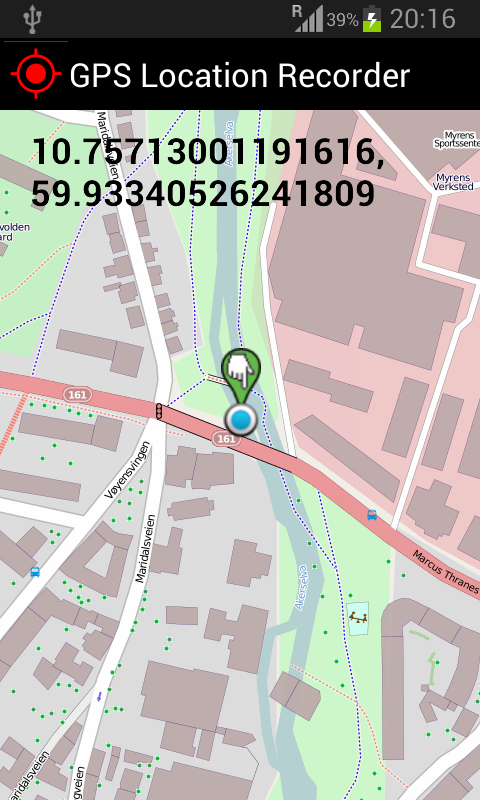 For a cheap phone this value may be 30-40 (meters). 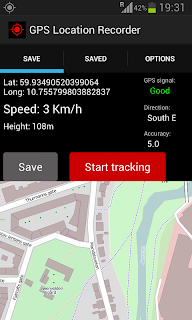 If you have a low value for accuracy on you phone you have the option to improve the accuracy of recorded locations and routes for GPS Location Recorder. 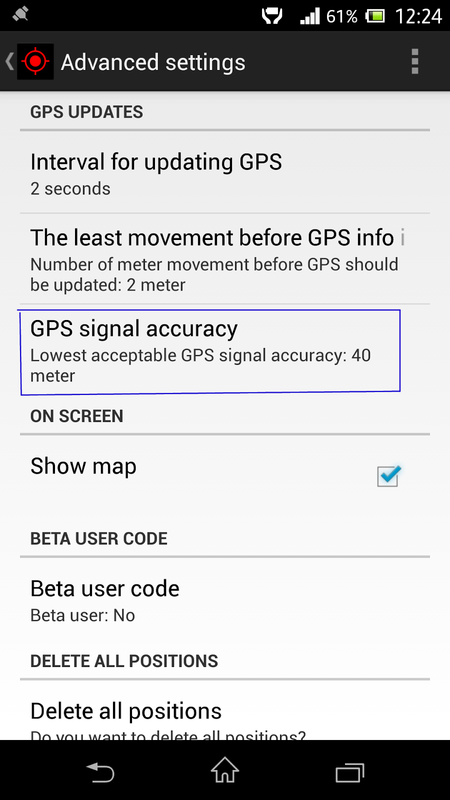 To improve the accuracy then go to «Advanced Settings» and after that choose «GPS signal accuracy». 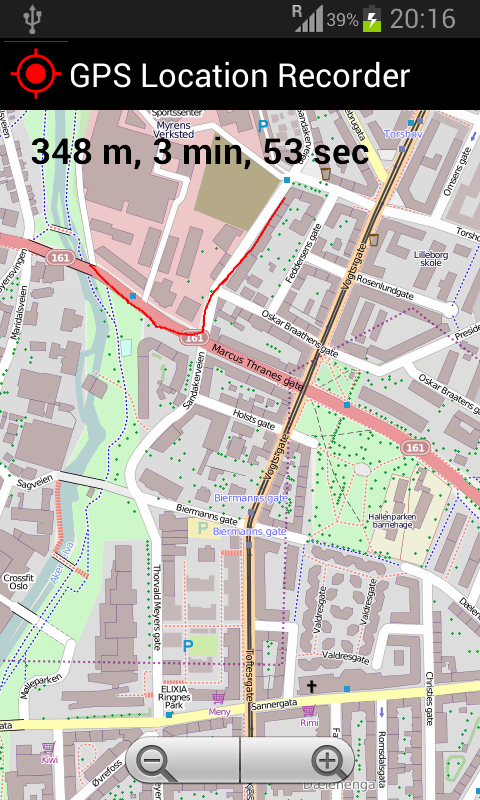 If for example the value of accuracy is never above 20 in screen 1 then you can set this value to «20 meter». 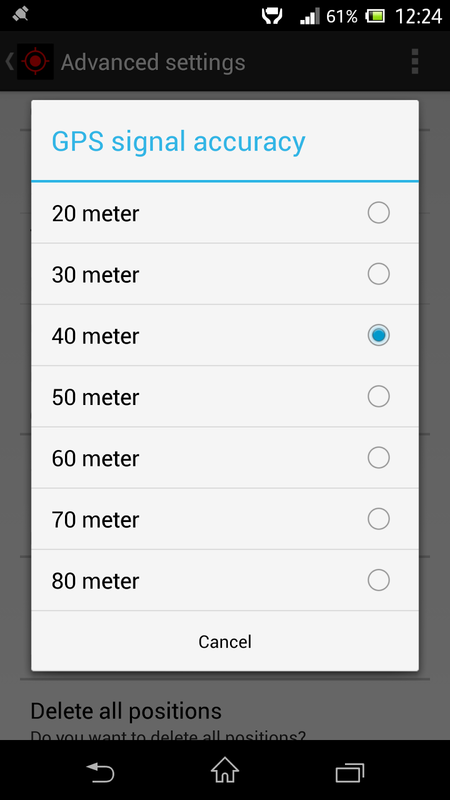 If the value of accuracy is never above 30 in screen 1 then you can set this value to «30 meter». 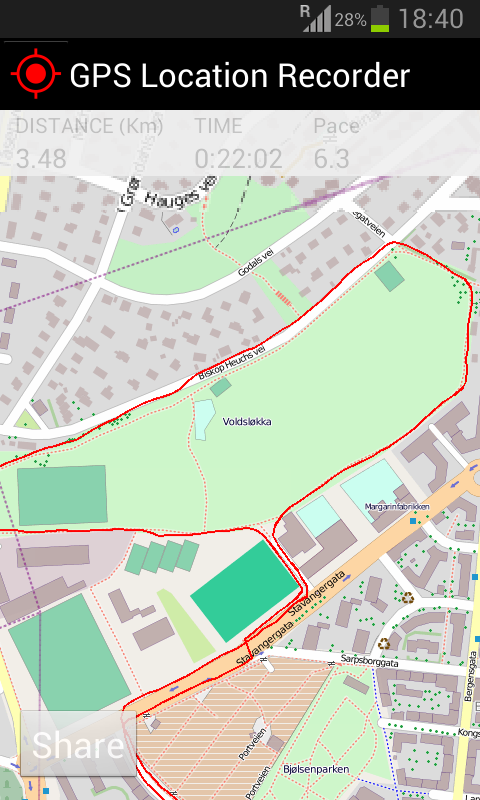 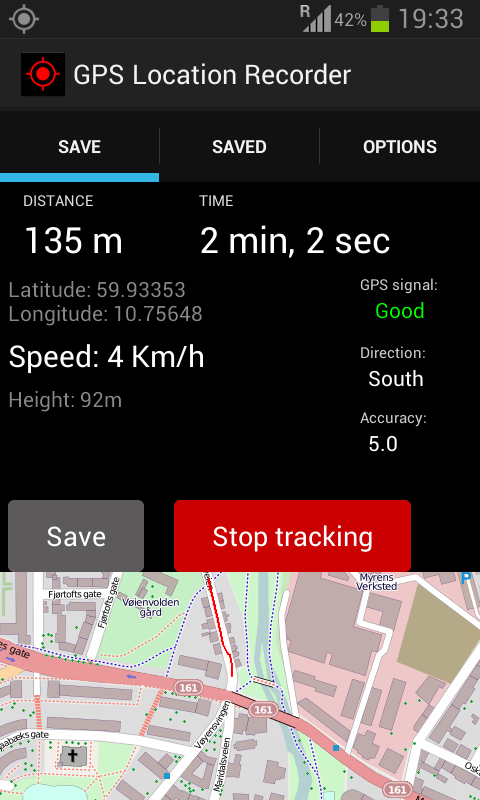 Now the GPS accuracy in GPS Location Recorder should be better then it was before (it was default set to 40 meter). 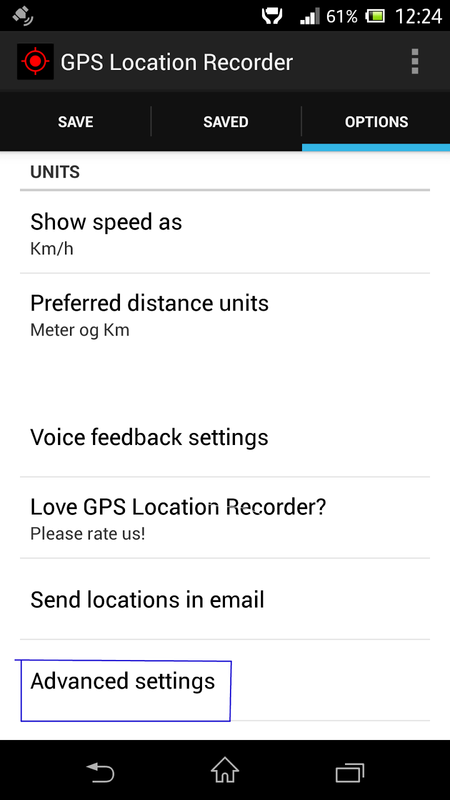 Har du en Android-telefon kan du nå prøve en norskutviklet treningsapp. 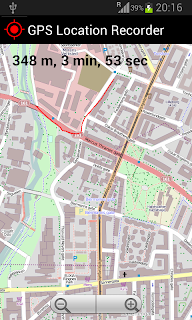 Der all tekst er på norsk! 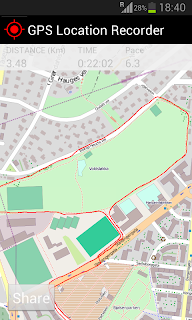 Og det beste av alt er at den er gratis! 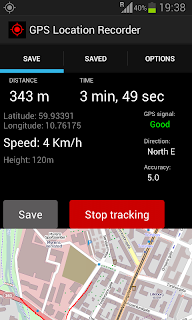 Den heter GPS Location Recorder, og kan lastes ned gratis i Google Play. 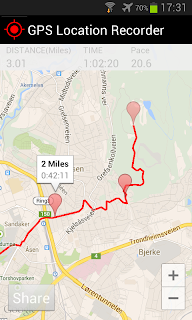 - Lagre løype mens du går/løper/sykler/står på ski/kjører etc, supert til trening. 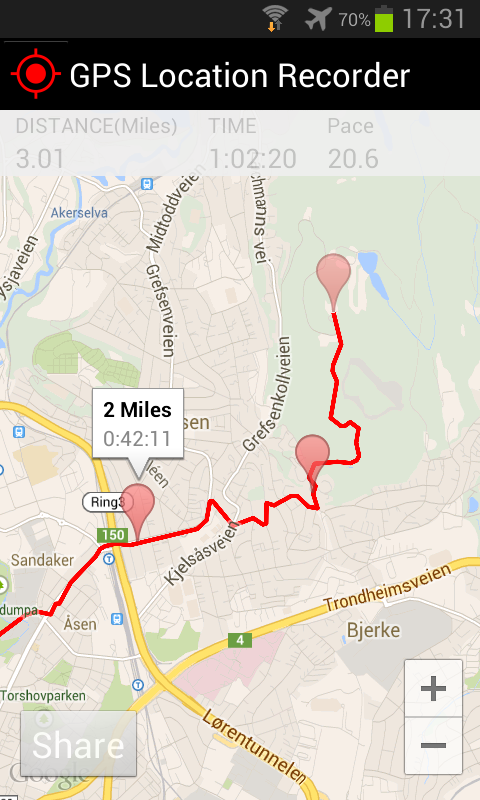 - Vis distanse som meter og kilometer, miles eller nautiske mil. 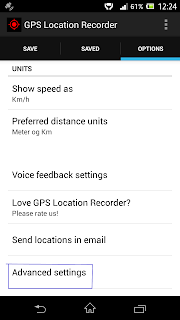 Mer info og bilder av appen finner du i Google Play. 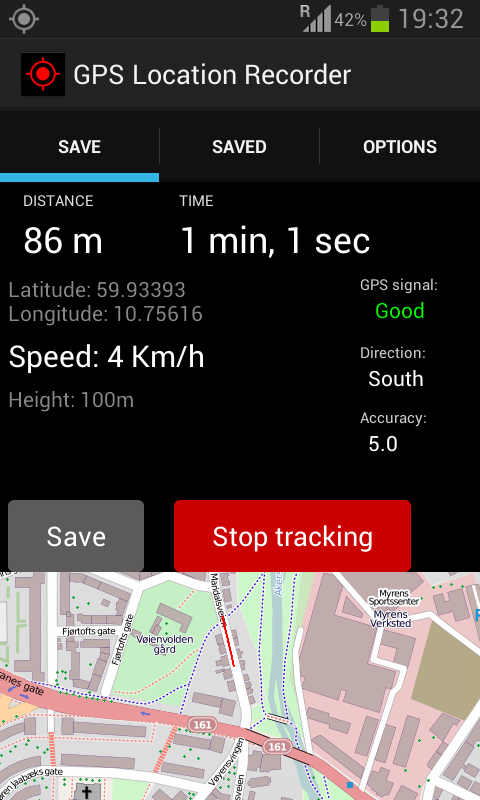 A new version of GPS Location Recorder for Android is now available in Google Play.